Check out this simple and delectable way to prepare this Pinoy classic! Bibingka is a popular rice cake in the Philippines, traditionally cooked in clay pots lined with banana leaves. It is made with ground sticky rice, coconut milk, and eggs, and topped with shredded coconut and butter. Bibingka is also commonly served with salted egg and cheese. 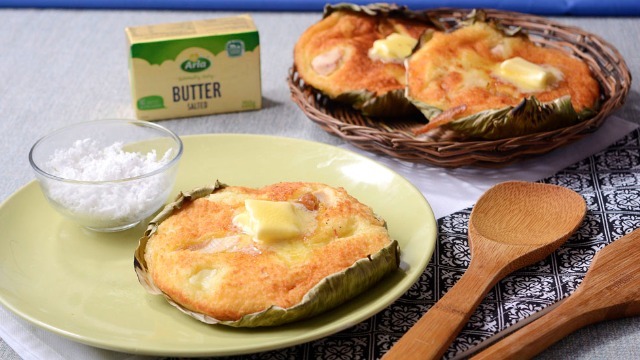 This particular bibingka recipe is made even more delicious with Arla Butter Salted, which is made from pure cream with 82% milk fat. Arla Butter Salted has a mild and fresh taste, with a pure, smooth, and aromatic flavor. 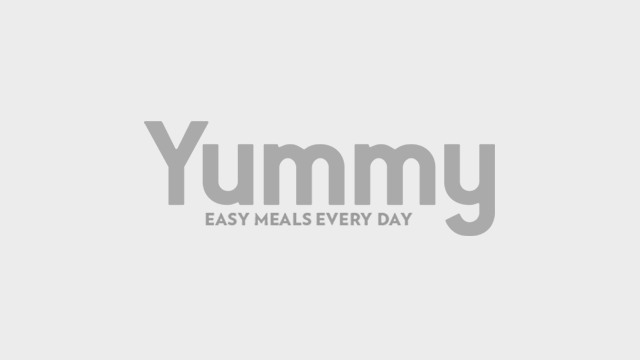 Check out more Arla recipes here! Rinse banana leaves under warm water and trim away thick edges. Cut leaves into about 10-inch diameter rounds (large enough to cover bottom and sides of baking pan). Heat leaves over stove flames for a few seconds or until just softened. Line pie pans with the leaves. In large bowl, combine rice flour, sugar, baking powder and salt. Whisk together until well blended. In another bowl, combine coconut milk and Arla Butter Salted and stir until properly mixed. Add to rice flour mixture and gently stir until batter is smooth. Add beaten eggs and stir until blended. Divide mixture and pour into the prepared pie pans. Bake in a 350 F oven for about 20 to 25 minutes or until golden and toothpick inserted in the middle comes out clean. Remove from heat and spread Arla Butter Salted on top. Garnish with grated coconut and sprinkle with sugar to taste.